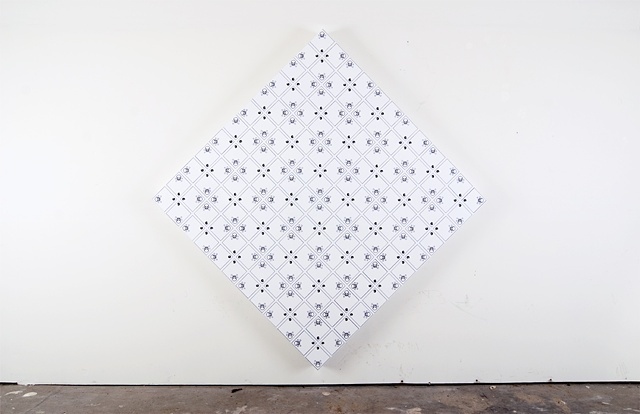 From July 9th- 23rd by appointment only, station923 will host Werner Sun’s A Visibility of Thought, an installation of inkjet mobiles that turns the traditional experience of reading a book literally upside down. 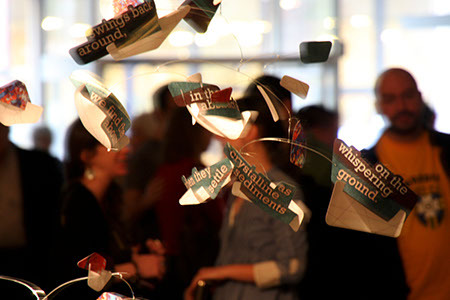 A series of ‘poetry mobiles’ hang from the ceiling low enough that the viewer can read them like books, while a shower of words rains down from a cloud of text fragments. 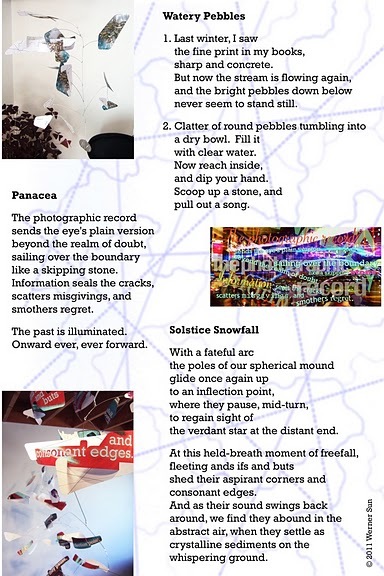 Originally presented at the Arcades Project on May 6th, in keeping with Arcades Project’s theme of text and artist’s books, Sun built a series of mobiles inscribed with poems written especially for the occasion. 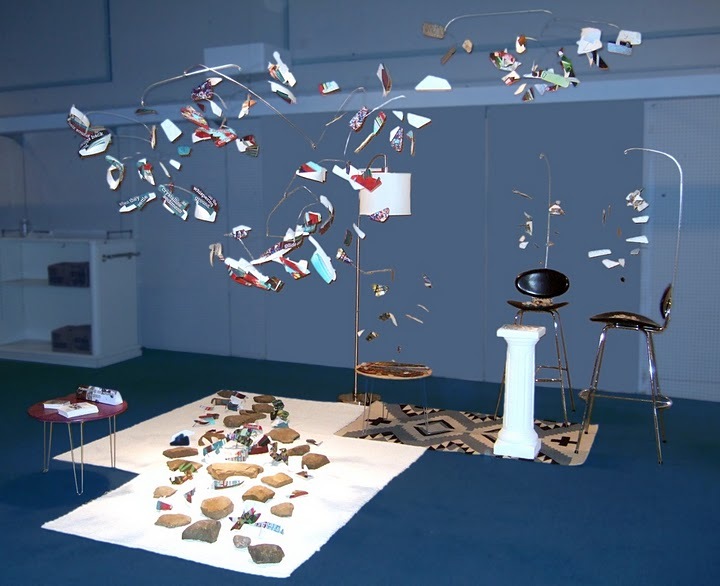 These mobiles invert the concept of the artist’s book by turning sculpture into books, and Sun incorporated them into a reading room vignette, where the mobiles took the place of books on the coffee table and chairs. Tonight is Gallery Night in Ithaca. Click here for a complete list of what’s on view. It should be a busy night Downtown.